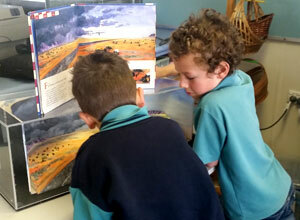 At Toongabbie Primary School we educate the whole child. We value and build on our students' strengths and interests, introducing them to a range of cultural and artistic experiences. We run a comprehensive, high quality German language program that has excellent results. Our students are exposed to cultural events and take part in German celebrations, this helps them to appreciate the unique experiences of others. 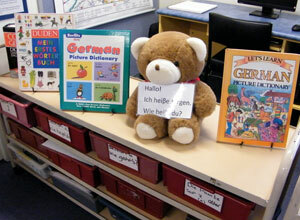 In our program, students will learn to speak, read and write in German and be able to engage in conversation. Our music program challenges students to play, create and perform music on a variety of instruments. 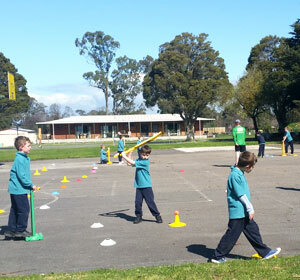 They are taught from Foundation about timing and rhythm, this understanding is built on throughout their educational experience at Toongabbie Primary School. Music classes include strong mathematical components that help our students to make maths and music a real and relevant part of their lives. Our Fine Arts classes are ideal for encouraging our students to problem solve and take risks. In this setting, students explore concepts such as color theory, proportion and the design elements and principles. A variety of techniques and materials are used throughout the program to extend the students' ability to respond to the unique nature of artistic materials. The "Art of Numeracy" project involves utilising Music and Fine Art classes as vehicles to provide concrete numeracy experiences that reinforce concepts being learnt in class numeracy sessions. For more information see the Numeracy section of the Curriculum page. 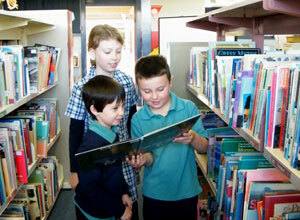 Toongabbie Primary School we have a fully functioning library which is available for school and local community use. Classes all have a weekly session in the library during which they borrow books and learn about locating books and researching. 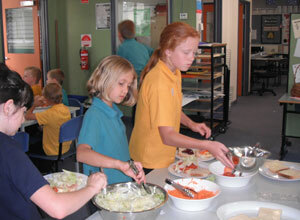 Our Technology room is used for cooking sessions that classes complete with their class teacher. In these sessions our focus in on cooling healthy foods and when possible we use ingredients from our veggie courtyard. This space is also used by our Parents and Friends Association when providing special "Tuck Shop" lunches for the children and is also available for community use. 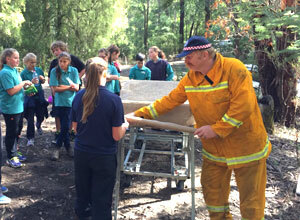 Our school is involved in the Sustainable Schools Program. Our students have learnt to operate the equipment required to conduct an energy audit on our school and successfully completed the audit. 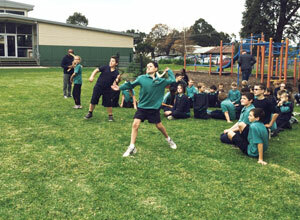 Our school has reduced its waste by 50%, developed a composting system and created a small orchard and vegie courtyard where we have developed a series of wicking beds. These beds are constructed from recycled potato boxes and include the creation of a protected reservoir from which the plants draw water through their root system. This method significantly reduces the amount of water required to grow food and enables us to continue growing a garden over the summer break. We have solar panels and over the summer we sell back into the grid. Our toilets utilise rainwater collected from our roof. We have a Garden to Table program which is enjoyed by grade 2-3 in particular. 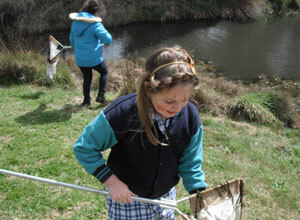 Grade 4-5 are involved in a Landcare seed collection program and the upper grades participate in Bug Blitz. 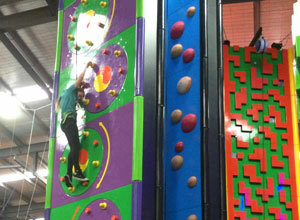 After school care is not available at our school, however there are a number of private local options available for parents who require such assistance. For more information, please contact the school office.